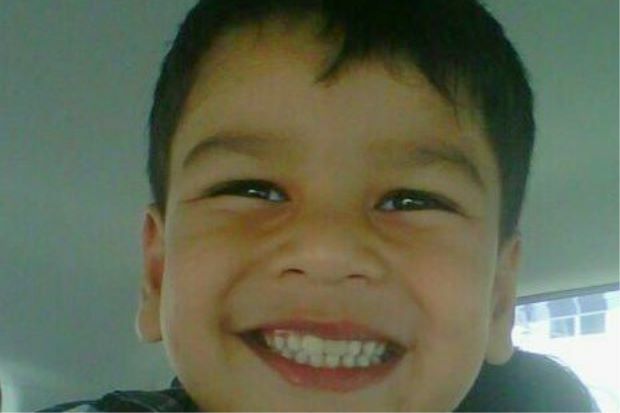 MUHAMAD ZARIFF, 6, MISSING, HAS BEEN FOUND! KAJANG: MUHAMAD ZARIFF, 6, MISSING, HAS BEEN FOUND! Selangor deputy police chief Deputy Comm Datuk Abd Rahim Jaafar said Muhamad Zariff Abdul Kalek’s father had taken him from a kindergarten in Bandar Baru Bangi on Wednesday morning. “We received a report from the boy’s mother saying that Muhamad Zariff was abducted by two men. “Upon investigations, we found that the boy was with his father in Sungai Petani,” said DCP Abd Rahim. “We believe it is a domestic dispute between the boy’s parents,” he added. Eryanis Dadameah, 40, initially told police that her son was abducted by two men in a white Perodua Alza. Safe and sound: Eryanis showing a picture of Muhamad Zariff, who she said was abducted. The boy was later found with his father. KAJANG: The six-year-old boy who was reportedly abducted in Bandar Baru Bangi has been found safe with his father in Sungai Petani, Kedah. Selangor deputy police chief Deputy Comm Datuk Abd Rahim Jaafar said Muhamad Zariff Abdul Kalek’s father had picked him up from a kindergarten on Wednesday morning. “We received a report from his mother claiming that Muhamad Zariff had been kidnapped. “Upon investigation, however, we discovered the boy is with his father in Sungai Petani,” said DCP Abd Rahim. “We believe it is a domestic dispute between the boy’s parents,” said DCP Abd Rahim. KAJANG: A six-year-old boy is believed to have been abducted near a kindergarten in Taman Damai Impian here. Muhamad Zariff was abducted on Wednesday morning and have not been seen since. “We don’t want to lose him,” were the weary words of Eryanis Dadamedah, as she recalled witnessing her son’s abduction. The 40-year-old freelance company secretary said she was sending her two children Muhamad Zariff , 6, and Qisya, 5, to a kindergarten located near their residence in Taman Damai Impian when she noticed a white Alza trailing their vehicle. “I was opening the door of the front seat where my children were seated, so that they could get out of the car. “My daughter has already gotten out of the car when a man came out of the Alza parked behind us and shoved me to the ground,” said Eryanis. “The man then snatched my son out of the car and forced him into the Alza. It all happened so fast. I remember my son calling out “mama, mama” as he was being taken away. The driver sped off as soon as his accomplice had gotten my son. This entry was posted in Uncategorized and tagged abduction, crime, Muhamad Zariff, Six-year-old boy allegedly abducted in Taman Damai Impian. Bookmark the permalink.